Kerala is a place teeming with plantations and a rich flora that are an integral part of highly earning businesses and trades. The state forms a crucial part of Indian exports that comprise different things such as fabrics, spices, herbal teas, coffees and what not. This post includes the latest addition to this billion dollar business generating state, the Oud plantation in Kerala. The Agarwood Plantation in Kerala is one of the fastest emerging investment options in the state that is generating employment as well as international export opportunities. Let us explore the same as an investment option. Agarwood is the most expensive agro-product in the world that is used to make lots of products such as essential oils, herbal teas, agarwood chips and tablets for incense and also accessories. Being used in natural medicines, the agarwood oil is called as the liquid gold. An idea of its value can be acquired by knowing a simple fact, that pure agarwood is very rare and costs more than gold, diamonds and even platinum. However, nothing is impossible and to make the impossible process of finding pure fragrant agarwood, the Agarwood Plantations in Kerala are being done. Actually the heartwood of the tree is otherwise non-fragrant. When it is infected by the fungus, the tree produces resinous substance that is heavenly fragrant and comes with loads of health benefits. Now, in the plantations, the trees are grown and then injected with the fungus. This process is done when the trees are 5 years old and is called as the artificial inoculation. Once the infection has set-in, the resinous deposition takes place gradually that brings huge monetary returns. 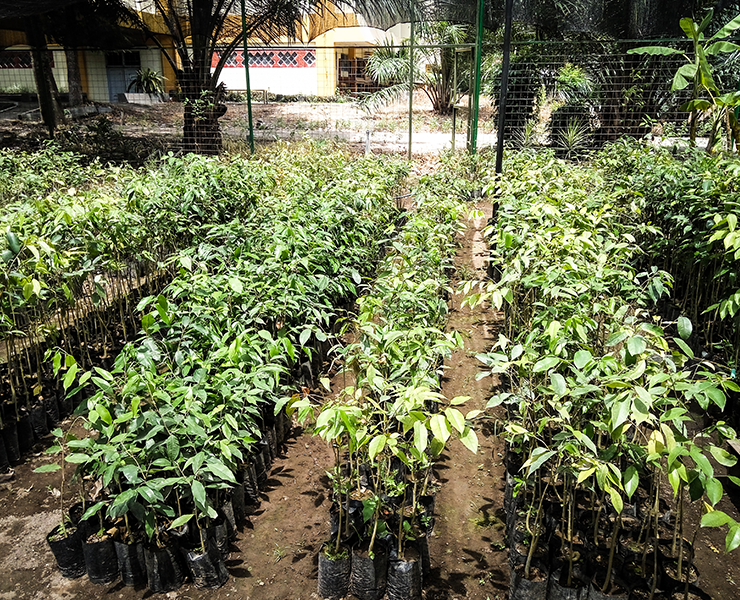 Agarwood plantation investment – Why and How?? In case you are still sceptical of making a decision, then please know that agarwood tea and oils are the most expensive ones in the whole world and are consumed across the globe for various purposes. The production methodology of the Agarwood doesn't disturb the nature or the ecosystem in any manner. There are three methods of artificial inoculation at the Agarwood Plantations in Kerala namely – F02P (Pasting), F12S (Sticking) and F07D (Drilling and Injecting). Once the fungus is set-in, the fungus spreads to the larger wood volume and the tree wound changes from brown to dark brown which means that the process of infection is going on. The complete process of the agarwood generation in deep trunk takes 4 to 5 years to complete. The aroma of the agarwood is the best one you can ever encounter on the whole globe and is a highly sought-after one by people across the globe. It is used for cultural, religious and medicinal properties and the essential oil, if pure, can earn you millions for a very small amount. The demand of agarwood oil and other products is primarily in North-East Asia and West or Middle East Asian Countries. Though the Oud Plantation in Kerala started as a research project in 2007, the trend has set in and is so popular these days is that one can find Agarwood plantation for sale as well in which the trees have reached the maturity and are ready for different stages of the whole process. Depending on your budget and investment intuition, you can plan your investments and reap huge benefits. The agarwood is so expensive that even a small amount of 600 gram can fetch you as big a return as US$10,000. Agarwood plantation in Kerala is one of the most beneficial trades that is flourishing and is promising huge returns that are rewarding in every manner.